How much fun can our kids have? See for yourself! 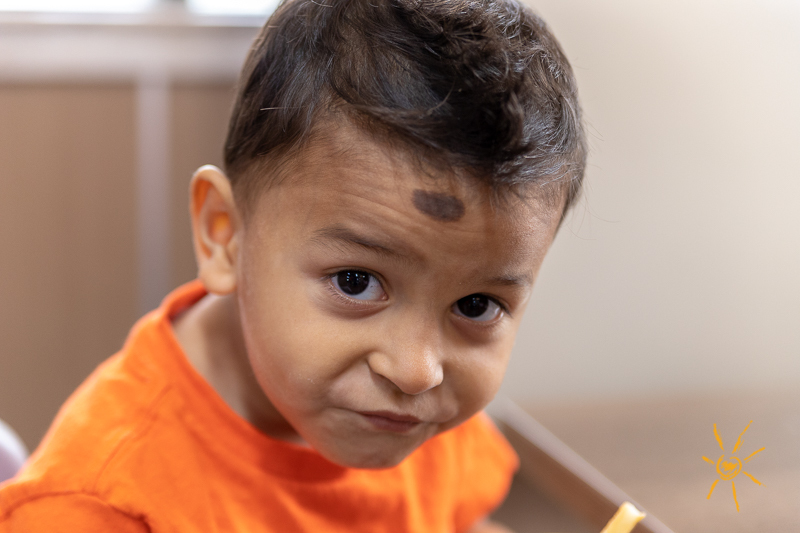 It’s only spring break if there’s a fast food run – so with a busy week ahead, the crew at our Orlando center made the stroll to Burger King to get fueled. Besides the delight of chicken and fries (for most) there was also the excitement of the toy – kind of the whole point of a kid’s meal. We take fun very seriously for spring break. A visit from Paws for Friendship. 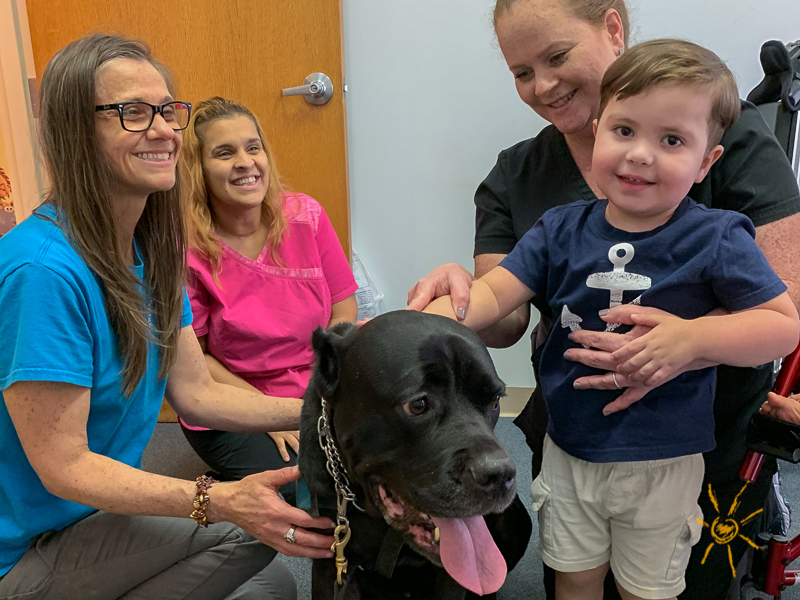 Orlando got a jump on spring break with a visit from Heather & Sam of Paws for Friendship, Inc. on Friday. A great time was had by all, and the Orlando center is now looking forward to regular visits from Paws for Friendship. Fun stuff is still in store for patients and staff, including a bounce house day, a trip to the movie theater, and arts & crafts. Good thing for the weekend – a little rest, maybe? Small patients, giant leaps of fun! Rainy weather? Whatever! The crew at our Winter Garden center had their fun inside, proving that the sun shines at BrightStart every day. 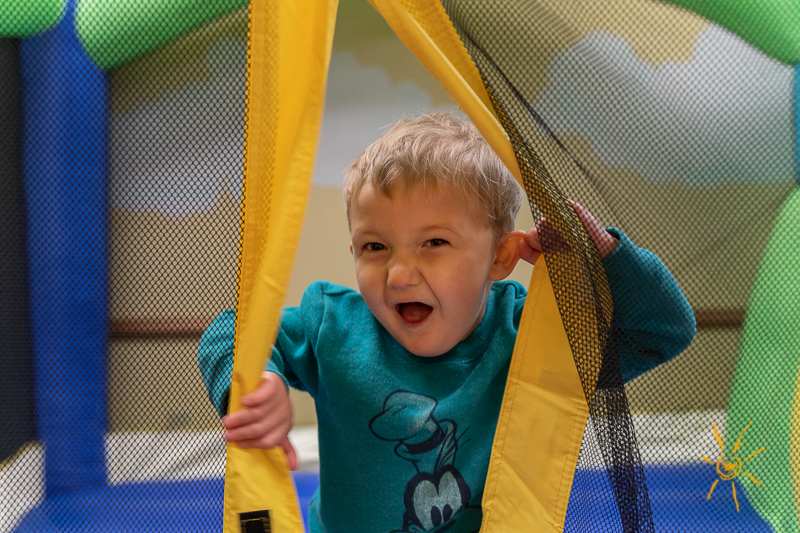 Patients broke in a new bounce house, a finely featured item with a large bouncing area, a ball pit, and a slide that is much faster than you might think! Our growing group had a fun week in store while they get ready for summer. Unleashing the friendly animal side of spring break. Noah’s Landing brought their assortment of animals for our patients to enjoy at the Sanford center. 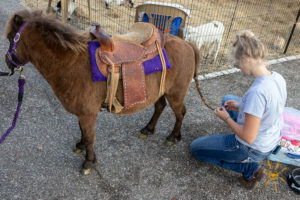 This classic spring break tradition was riding high this year with the addition of Dixie, a very well-accessorized pony. 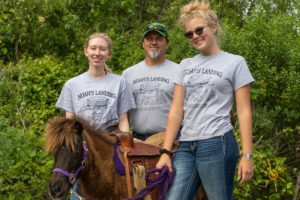 Many of our patients made the brave move to the mounting steps and with careful supervision rode high in the saddle and earned serious bragging rights. BrightStart kids got to meet other kids – little goats, that is – along with some little pigs, chickens, very fluffy bunnies, and a cow. The annual visit from Noah’s Landing is pretty familiar for some of the children – but there are a few who were a bit nervous, no matter how fluffy those bunnies are, thank you. 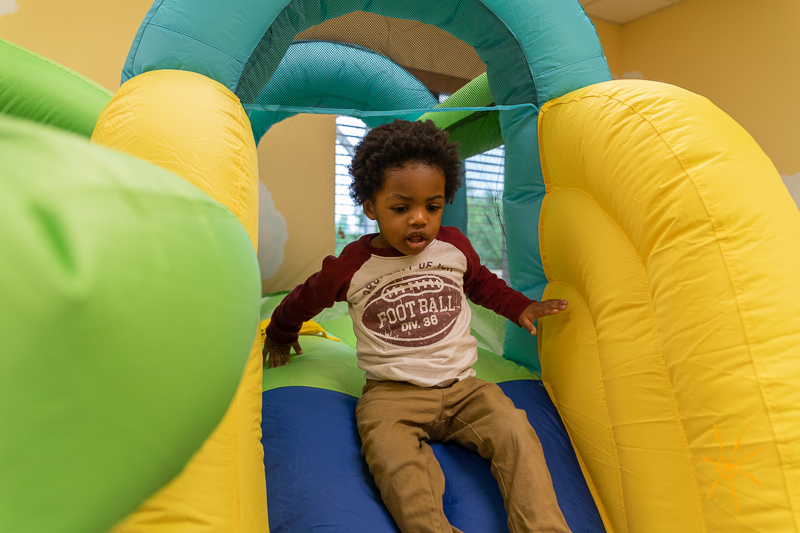 It’s real spring break madness, with a week that includes bounce house day (familiar theme!) a mall crawl and a trip on the Sunrail. 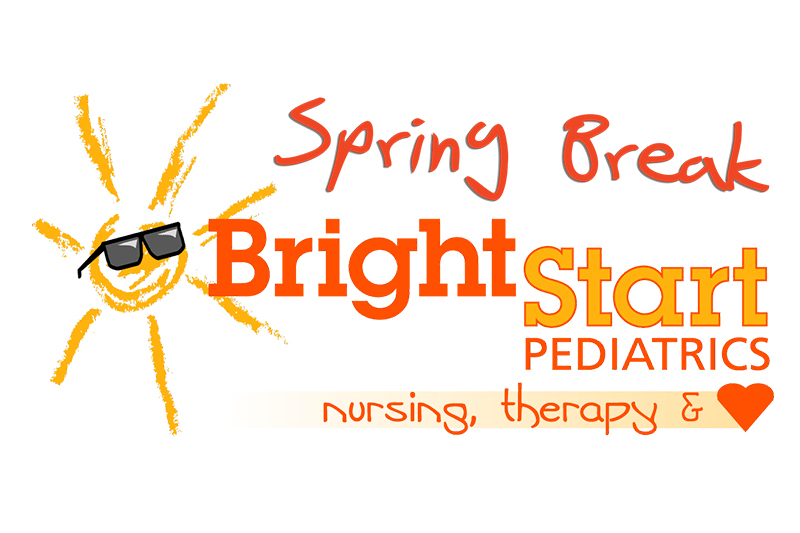 Thanks to our BrightStart families, our dedicated BrightStart team members, and our friends we’ve made throughout Central Florida during Spring Break 2019. Now – what are you waiting for? Scroll on down and check out our featured photo galleries! Special thanks to our friends from Noah’s Landing: (l to r) Lauren, Vaughn & Lorelai. You can learn all about them by clicking here.